As part of this Beary Merry Christmas, an all-new in-app game,The Pawfect Journey, will be rolled out on 26 November. 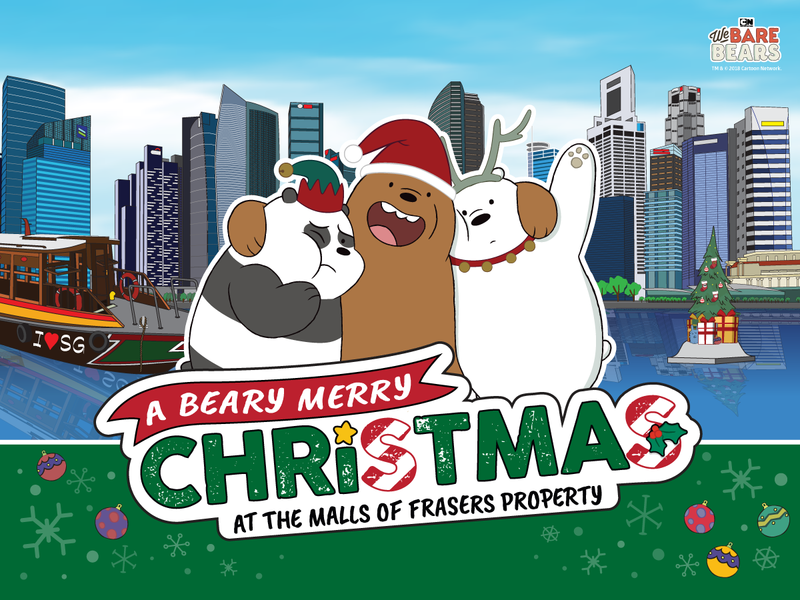 The game is embedded within the new Frasers Experience (FRx) mobile application, and tasks shoppers to help the three bear brothers locate their missing items across the malls of Frasers Property. By matching and scanning in-mall QR codes via FRx, shoppers stand a chance to win a share of over $250,000 worth of prizes, such as Frasers Points, digital gift cards, and retailer vouchers. To further enhance the experience, a$12,000 Live Questwill be held every Saturday from 1 to 22 December at selected malls, starting at Causeway Point. Participants will be divided into three squads – Team Grizz, Team Pan Pan and Team Ice Bear, with each squad completing tasks together to achieve the ultimate ‘#squadgoals’. Take cool pics with Grizz, Pan Pan and Ice Bear at the Meet & Greet.